Getting your garden ready for the summer holidays. The summer holidays are fast approaching. And lets face it none of us want to go out on a play date or to a park/soft play everyday. Sometimes you just want to sit and chill. In your own garden with your own food at hand and juice on tap. However the famous words “I’m bored” are bound to come out of our little ones mouths at some point. So we always make sure our garden in summer holidays ready in plenty of time. 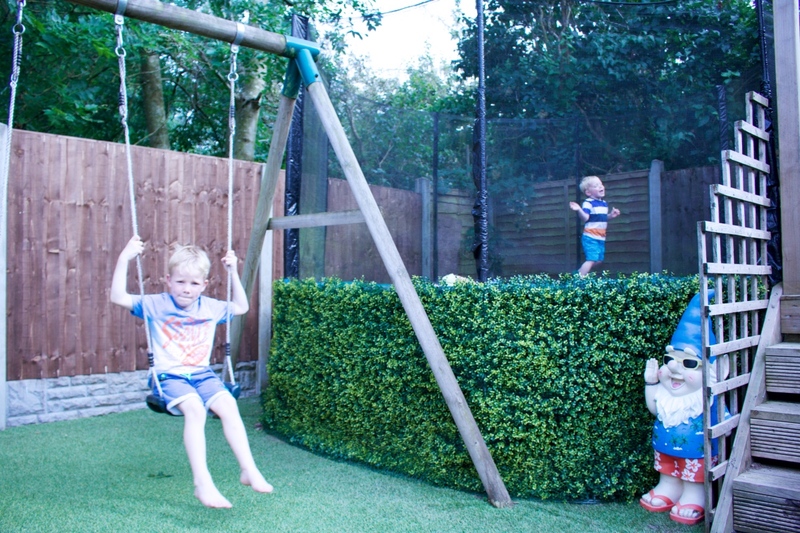 Here are our must haves in our garden to keep 4 little ones happy and entertained for the chill days. This isn’t going to be affordable for everyone, but if you can I can’t recommend it enough. With typical english weather it’s going to rain. And there is nothing worse than having a huge down pour then the sun coming out. Yet you still not being able to go out as everything is muddy. Its ideal even if you have pets like we do, really easy to clean and no lawn mower needed for the win. You can pick swings up really cheap now. Also loads of people sell them on Facebook pages or eBay. Our little ones will spend hours swinging and even though we only have two all four find a way to play together. Throwing balls to be kicked pushing each other spinning round you name it they do it. There is something so therapeutic about tipping sand or water from one container to another, and the kids think the same. They will spend hours playing with these. And if you have a good umbrella or put them in a shady spot they are good for all the family all day. It’s not all about the kids is it. Us adults need somewhere to sit to watch them. Somewhere to lay our glass and book while we soak up the rare summer sun. Guaranteed they won’t just use them to sit and slide on. They will climb the wrong way up, slide balls down, cups of water. You name it and it will be used as everything and anything other than a slide but it will entertain them. 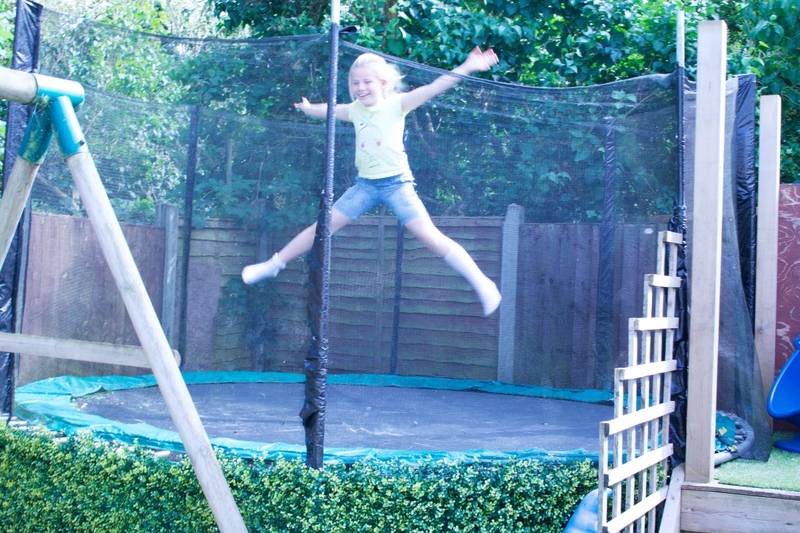 From toddlers to teens and even older everyone loves a trampoline (it may make you wee but you still love it). 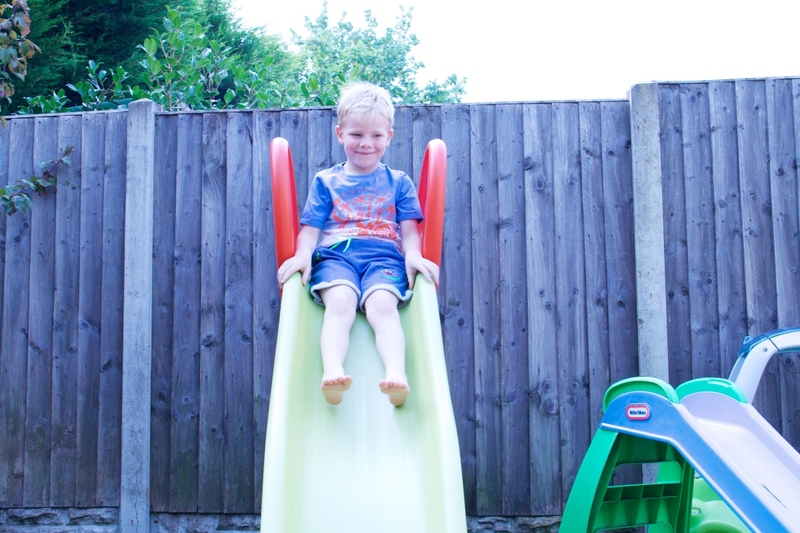 These can be dangerous if kids are allowed to be silly on them but used safely they are an amazing addition to the garden. I also like to have a garden box ready. This will have water balloons for hot days, patio chalk (Adam hates this lol ) bubbles you can literally never have enough bubbles. As they normally get spilt then tears follow. 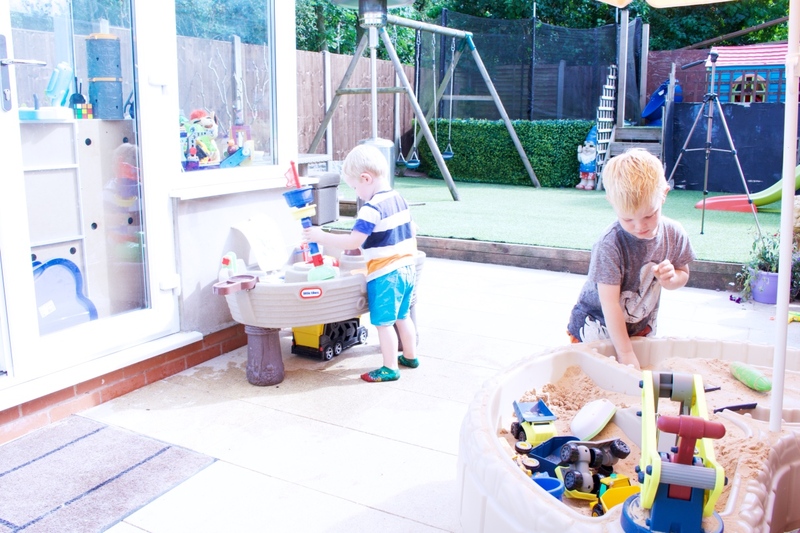 A bubble machine is fab but can cause pushing lol And play dough is most defiantly an outside toy so they love getting that out when the weather gets warm. I can not wait till the summer holidays, I know not everyone feels the same but having a garden they can play and you can chill in really helps. Especially on days when you just can’t be bothered to get dressed.